I will be presenting a paper titled Marx contra Deleuze: Towards a Materialist Constitution of the Cinematic Sign. As a preliminary study, this paper will not delve into the details and intricacies of Deleuzian philosophy. My main purpose today is to show the general dialectical relationship between Deleuze and Marx. This paper generally argues that different philosophies of cinema must be liquidated and critique for their lack of historicity, attention to material conditions of filmmaking, and complicity to the fetishistic dimension of cinema. As a guide, my discussion will focus first on the general contradictions in Deleuze’s books on cinema, highlighting perhaps its metaphysics via Bergsonism. After which, we locate Deleuze’s project in the larger discourse on cinema-as-art and raise the stakes as to how Deleuze’s philosophy of cinema conceals a more important layer of cinematic mode of production. From there, we proceed in presenting a dialectical possibility of creating a materialist constitution of the cinematic sign. Gilles Deleuze is one of the most celebrated French poststructuralist philosophers of the last century along with Michel Foucault and Jacques Derrida. He has written extensively on the works of philosophers like Nietzsche, Bergson, Hume, Kant; and on art forms like music, painting and cinema. Some of you might know him as the co-author of the book series Capitalism and Schizophrenia, in which, alongside Felix Guattari, they tried to sharpen Marx’s critique of capitalism through a radical re-appropriation of Spinoza, Lacan, Hume, and other philosophers. This resulted to a Deleuzian theory of the multiple, which today is popular among critical discourses in Western arts and humanities. Built on sensations, percepts and affects, Deleuze’s concept of cinematic signs are built on a metaphysical premise. In Deleuze’s books Cinema 1: The Movement-Image and Cinema 2: The Time-Image, cinematic signs are taxonomized, characterized and isolated based on Bergson’s theory of duration or duree. Deleuze, in particular, hinged on Bergsonian binary oppositions of space and time and homogenous and heterogeneous qualities. Based on Bergson’s concept of duree, he redefines each cinematographic concepts of framing, shot, montage or editing to come-up with a mnemonic to analyse a given set of films. However, this seemingly innocent philosophical project of aesthetic analysis may not be as special as it may seem. What lies beneath Deleuze’s gesture towards a metaphysical notion of cinema is an attempt at withdrawing from the materiality of cinema itself. Hence, several contradictions abound. Deleuze’s cinema project can be simplified as a Bergsonian taxonomic study of different signs in cinema. All in all, Deleuze arrived at around 26 cinematic signs! However, in Deleuze’s attempt to categorize signs and images, he forgot to factor-in several important elements in play. Although his aim is to create a bridge between philosophy and cinema, his approach to the phenomenon of cinema is drawn from a perspective of a cinephile or viewer with a wide taste on art films. It is clear in his selection of films that Deleuze came in prepared with a years of watching European and Hollywood cinema. However, he missed a very important aspect of cinema: the modes of production that governs the material production of these cinematic signs. This limitation of perspective was announced beforehand. He said in the Preface to the English Edition of Cinema 1, the ‘book does not set out to produce a history of cinema but to isolate cinematographic concepts [that] are not technical nor critical, [and] neither linguistic.’ (p. ix). In limiting his perspective, he ignores at least three major components of cinematic production, namely (1) modes, means and relations of production, (2) historical constitution of the cinematic sign, and (3) the industrial character of cinema. In the quote taken from Cinema 2: The Time-Image, Deleuze made mention of several cinematic movements in European Cinema: the Soviet Cinema, the French School, German Expressionism as a counter-example to American cinema’s limited action-image. Deleuze’s reason for engaging with cinematic movements is primarily to highlight the importance of the unity of style with politics of the image. On a side note, notice how Deleuze ended the quote. He said that European Cinema can reach ‘a mystery of time where image, thought and camera’ can be united in a single ‘automatic subjectivity.’ The concept of automatic subjectivity reinforces Deleuze’s belief in arriving at a fully autonomous theory of cinematic sign. This is an important highlight when we get to Marx’s idea of sensuousness. In Deleuze’s philosophy of cinema, directors are not just creative agents who decide the form and style of the film. Deleuze has elevated them to the pedestal of film-philosophers. However, in the process of privileging style and authorship over the notions of technicality, history, and criticality, Deleuze conceals the material dimension of cinema, in particular, the link between cinematic product and its mode of the production, constituting its industrial nature. From Deleuze’s predominant perspective of cinema-as-art, a perspective that mystifies and idealizes cinema, robbing of its material sensuousness, it is important that we move dialectically towards cinema-as-industry. In order negate Deleuzian metaphysics, one must constitute the cinematic sign in relation to the struggle of the proletariat. How can we do that? Marx offers an answer. In this passage, Marx was trying to compare Feuerbach’s notion of sensuousness with his own synthetic view of sensuousness, which for him is related to a practical-critical activity. In other words, Feuerbach, like Deleuze, has forgotten the importance of the social dimension of sensuousness, its practicality and its importance in everyday activity. Marx’s materialist stance against Feuerbach’s limited materialism highlights the importance of reorganizing sense, sensing, sensory-schemas, and the signs that corresponds to each sensory function as non-autonomous. This is the direct opposite of how Deleuze frames signs as fully automatic and autonomous, in particular, its productive source, its creator. Deleuze, though he has delved deeply into the affective sensuousness and intensity of cinematic signs, has only interpreted cinema in theoretical ways. Like so many philosophers, he has forgotten that the human social component of the production of signs is highly important in determining the possibility of its creation and eventual abolition. Some would argue that Deleuze highlighted the human component of the director. However, the production of cinematic signs is not solely done by the film director, but it is constituted by the whole industrial relations of capital, labor, and time. Hence, a materialist theory of cinematic sign must engender first Marx’s notion of a sensuousness: that a cinematic sign is a result of sensuous practical activity, neither local to the viewer, or the camera, or the director, but a product of social interaction of several elements. Marx’s rationale for taking into consideration the practical side of sensuous is that is mounts directly the importance of modes, means and relations of production as oppose to purely looking as sensuousness as exceeding any lived experience. A materialist theory of cinematic sign must also abolish the autonomy of the image by going beyond the confines of cinema-as-art via the reconsideration of cinema-as-industry outlook. In changing the perspective of the production of cinematic sign to industry, one immediately abolishes the creative role of directors-as-auteurs. From creation, we look into the political economy of the production of the cinematic sign. It is the only instance where we can constitute the subjectivity of the proletariat, the film workers who worked under poor labour conditions of the industry. For the materialist theory of cinematic sign to reach a praxiological synthesis, it must put the proletarian class struggle at its core. This can only be eminent if we also abolish the false opposition between art and commerce, which only aggravated the exploitative practices of capitalists who controls the means of production in the film industry. It has also created what is now called Maindie, a result of the allyship between art and commerce. Instead of highlighting the false opposition of art and commerce, we must highlight the true opposition that lies between the proletarian class and the capitalists in the entertainment industry. This paper also speaks, on a larger scale, of the prevailing tendency of film theory and the film industry as a whole to focus mainly on notion of form and style in cinema as the main determination of quality. This is supplanted by the figure of auteur as the overbearing determinant of filmic discourse. This trend has put forward the auteurs, stars, producers, and cine-capitalists as Godlike figures and ideological leaders, concealing in turn the industrial character and capitalistic structure of cinema. Together with Deleuze, the bourgeois class has continuously led the industry in terms of production, consumption, distribution of cinematic products, with total disregard of the condition of labor of the proletarian class subsumed under cinema’s capitalist mode of production. This is happening now in Philippine cinema. The lack of regard on the capitalist mode of production in the Philippines has caused problematic working conditions. In particular, the issues of long labor hours for production crew, cast and other ancillary workers of the industry (Rappler.com, 2016). In an article in Rappler published March 11, 2016, directors and actors of the industry lamented on the ‘poor working hours and conditions in television’ and cinema. Directors’ Guild of the Philippines President Paolo Villaluna noted that poor working hours is a systemic problem which begins when the crew hire non-professionals with cheap labor value, maximization of logistical resources, and high demand of some performers to be prioritized, and practicioners moonlighting on several projects. This issue on labor time no longer concerns the temporality that Deleuze tried to taxonomize in his cinema projects. However, the materiality of this issue has led to us to conclude that Deleuze’s theory of cinematic time is incomplete and has only been useful in terms of categorizing various styles in cinema. Abolish all forms of mystification of cinematic sign as autonomous to the social sphere by acknowledging its socio-historical dimension and its practicality. Seize the means of production of the cinematic sign from the industrial capitalists of the film and media industry. Deleuze may have contemplated on the nature of cinema. The point however is to change it, by abolishing the private property and reintegrating the proletarian struggle back to the constitution and eventual abolition of the cinematic medium as a capitalist enterprise. Deleuze, G., Tomnlinson, H., & Habberjam, B. (1986). Cinema 1: The Movement-Image. Minneapolis and London: University of Minnesota Press. Marx, K., & Engels, F. (1976). Selected Works: Volume One. Moscow: Progress Publishers. 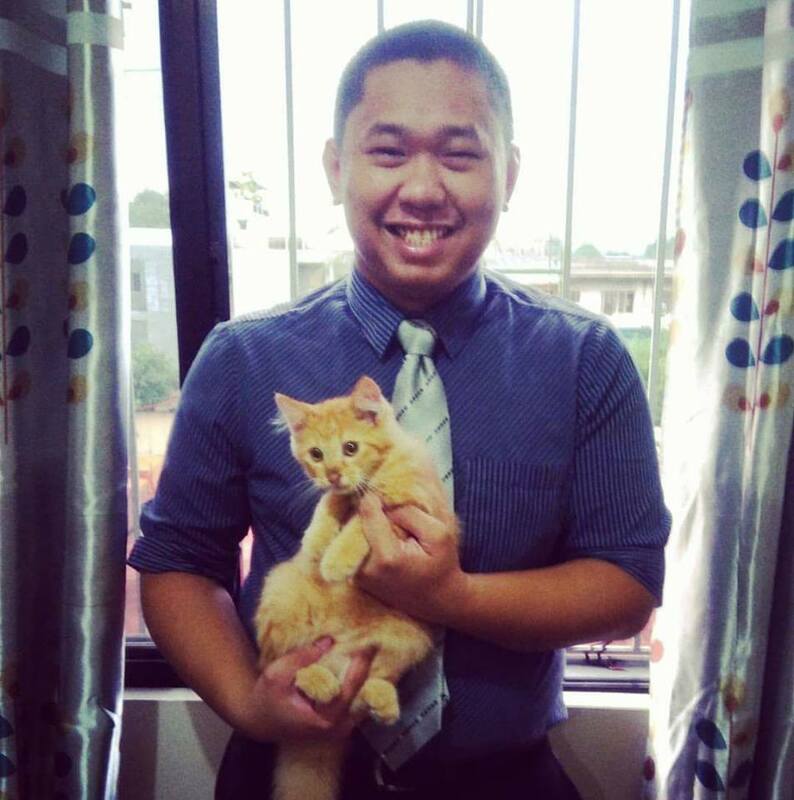 Adrian D. Mendizabal is a Filipino media studies scholar based in Manila, Philippines. He is completing his degree on MA Media Studies (Film) at the University of the Philippines Film Institute (UPFI). He is recently a contributing film reviewer of VCinema. He has contributed several essays on Philippine cinema and the local media industry to various publications like Asian Politics & Policy, Plaridel Journal, Kino Punch, NANG 2, La Furia Umana, New Durian Cinema, Transit Journal, Sinekultura Film Journal and MUBI Notebook and is currently working on a research project exploring the relationship of time and Lav Diaz’s cinema. His main interest is film-philosophy. Join KAMPUHAN! Join the Fight Against Contractualization! Omnitudo by Adrian Mendizabal is licensed under a Creative Commons Attribution-NonCommercial-ShareAlike 4.0 International License.